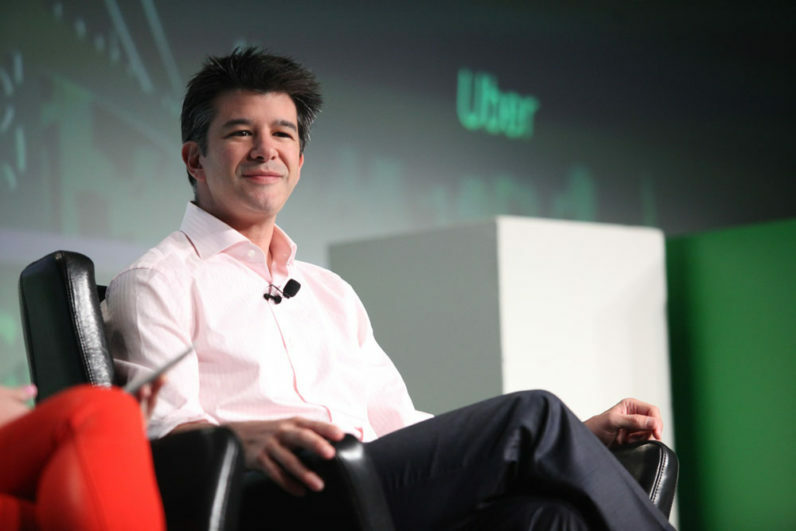 Given the recent news headlines, it’s clear Uber — among other companies — must reevaluate its company culture. Earlier this week, when news hit that Uber’s board of directors approved a set of 47 recommendations prepared by former U.S. Attorney General Eric Holder, I was surprised how well I could relate to most of the suggestions. I’m sure I’m not alone. If you are a business leader, you have faced (or will soon face) performance culture and workplace candor challenges. The 13 page document full of ideas was created to help Uber “build a workplace in which ‘all the great minds’ gather to work and succeed. The document is chock-full of pieces of advice high-performing companies should adhere to as they grow and scale their own company cultures. Here are six lessons I’ve gleaned from watching Uber course correct — and suggestions for how to apply them to your own company culture and performance philosophy. We all have access to power business analytic platforms that give us data. But none of this data matters if it’s not uncovering metrics that are tied to the things that matter. Holder recommended Uber begins using performance reviews to hold senior leaders accountable—but interestingly, the firm suggested they review metrics tied to the things that matter most in improving Uber’s workplace culture, including diversity, responsiveness to employee complaints, employee satisfaction, and compliance. It’s possible that you are holding your own leadership team or employees accountable through data—but it’s meaningless if you’re tracking the wrong metrics. Diversity campaigns and inclusivity efforts will only take you so far if they’re not an integrated part of your company culture. So what is driving your company culture? I believe the leadership team and their dedication to your core values has the greatest impact on company culture. Uber has written cultural values, but there still remains a disconnect between these values and how the company’s leadership team acts. As Uber reformulates its cultural values to be more inclusive and positive, true transformation will occur when individual leaders embody values of diversity, inclusivity and collaboration. As with many Silicon Valley startups, Uber employs a number of first-time managers who climbed the ranks to obtain their position. No matter how you structure your business, managers are a crucial component. They are responsible for the care and coaching of your company’s most value asset: people. Holder suggests Uber should not just focus on helping managers become more inclusive, but also work to improve fundamental skills for effect management, from how to communicate and value employees, to how to provide constructive feedback to employees. In my experience, manager training is not something to put on the backburner. All organizations, across all industries, benefit when managers have the skillsets needed to coach and provide feedback to employees. Many of Uber’s biggest issues—a lack of employee trust and bias in the performance management process—stem from a lack of transparency. Adopting a “no secrets” approach to your performance philosophy can help mitigate bias, especially when managers are evaluating employees for compensation adjustments and promotions. Holder’s suggestions for transparency go much farther than the performance management process, however. The lawyers suggest making promotion requirements clearer and to communicate openly about job openings. When transparency becomes core to your culture, employees feel in the loop and tend to become more attached and dedicated to the work they contribute. Gallup found that only 19 percent of millennials say they receive routine feedback from managers, and only 17 percent say the feedback they receive is meaningful. Clearly, we have a feedback problem across the workforce. Uber is no exception. In fact, the law firm’s suggestions for Uber were riddled with suggestions for giving employees more feedback, or channels for communication. In Uber’s sexual harassment case, which ultimately propelled a lawsuit and other negative ramifications, it seems the employee didn’t have an appropriate channel for raising her complaint and concerns. If you support feedback in all directions, from company surveys to manager-employee one-on-ones, it becomes easier for employees to share their challenges, complaints and issues before they get out of hand. Holder perfectly summarize the impact goal setting and continuous performance management can have on an organization in their report. Continuous feedback not only helps companies maintain a “no secrets” approach, but also helps employees from missing benchmarks. Long time Google VP Liane Hornsey has already made huge strides at helping Uber move to a continuous model of feedback and management, but there’s always more that can be done. Goal setting and transparent continuous performance management creates a checks and balances system that keeps managers aligned with employees and vice versa. It’s not just Uber that faces an uphill battle—we all owe it to employees to improve the work environment by communicating openly and transparently. An investigation team conducted 200 interviews with current and former Uber employees to make their suggestions. Some of Uber’s biggest company culture shortcomings represent universal challenges we’ll need to overcome. To embrace an inclusive workplace and truly build a culture of success, stay focused on fine-tuning your people processes and company culture.